At Interstate Auto Glass, we know the importance of having your motorhome windshield replaced, and our staff of dedicated technicians will do everything possible to ensure that your recreational vehicle is ready for the next family vacation or road trip. To expedite the glass replacement process, we carry a full line of high-quality glass products that allow us to efficiently perform any necessary glass repair or replacement. We understand that many auto glass repair shops have difficulty accommodating the sheer size of certain motorhomes and this can lead to apprehension, but not here at Interstate Auto Glass. In addition to our well-qualified staff, we have a sizable parking lot that offers plenty of room for the maneuverability of larger RVs and motorhomes. If coming into the shop will not fit into your schedule, take advantage of our mobile services, and arrange for one of our professional motorhome glass installers to come to you. Whether your motorhome is located in an RV park, storage facility, or it is parked in your driveway, our technicians will have your vehicle ready to go in no time. Get Your Motor Home or RV on the Road! Ready to hit the road with your motor home or RV? 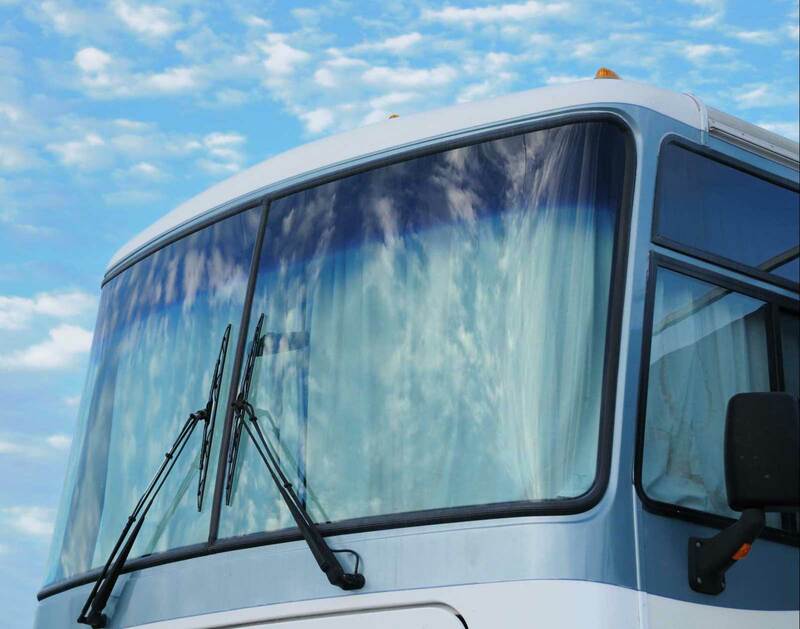 Let our technicians take care of all of your RV glass repair needs before you embark. For more information or to schedule an appointment, contact an Interstate Auto Glass customer service representative at (320) 763-3211 and they will assist you in meeting your needs. Vacationers!! Welcome to our beautiful Alexandria community. Don’t let a broken windshield ruin your vacation we can drive to your campsite to complete repairs. Call today for friendly, fast, and reliable service!